JP's Music Blog: New Release From Omnivore Recordings Features Big Star "Live At Lafayette's Music Room"
New Release From Omnivore Recordings Features Big Star "Live At Lafayette's Music Room"
Omnivore Recordings kicks off the year with the newly released, stand-alone live album from Big Star titled "Live At Lafayette's Music Room." The show was originally part of the Grammy Award-winning Big Star box set "Eye On The Sky," and is now being released on its own on January 12th. The show was performed 45 years ago and showcases Big Star as a rock trio, following the departure of Chris Bell. The new 20-song release shows Big Star opening for the R&B band Archie Bell & The Drells and displays a raw, but exciting sound as the future of the band was uncertain at this point in their career. The set mixes in Big Star classics like "In The Street" and "Don't Lie To Me" with some R&B flavored numbers like "Way Out West" and "Hot Burrito #2." After covering most of their first album, Big Star debuts songs that would eventually appear on their second album as you get early versions of "Back Of A Car" and the set closer "O My Soul," along with cover songs by The Kinks and T. Rex. 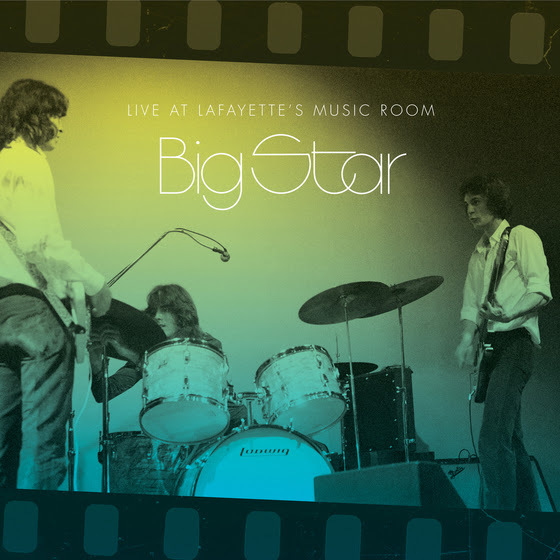 The newly released stand-only version of "Live At Lafayette's Music Room" also includes a download of a previously unissued interview with Alex Chilton and Andy Hummel that took place in 1971 and was a broadcast on Memphis' FM 100 radio station in 1972. To find out more about the new reissued of Big Star's "Live At Lafayette's Music Room," please visit omnivorerecordings.com.